Why buy one ring when you can have five? 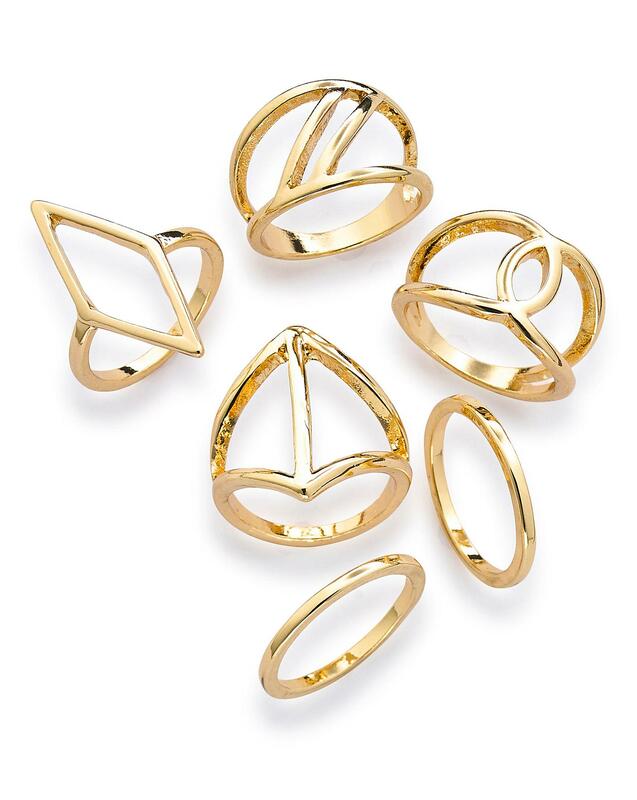 This great value pack has a variety of gold coloured shapes and sizes. Finished with diamantes, many of these are on-trend with open effect designs.